More Blog Posts in National Teach Ag Day Where is this place located? It's Beginning to Look a lot Like. . .
To make the most of your experiences. Whether you are traveling to National FFA Convention this year, or just going on a class field trip -- enjoy the time you get to spend with your students as they learn and grow as future agriculturalists. Planning a Few Stops on Your Way to National FFA Convention??? If you are looking for a great new class field trip or FFA Convention tour stop this is it. 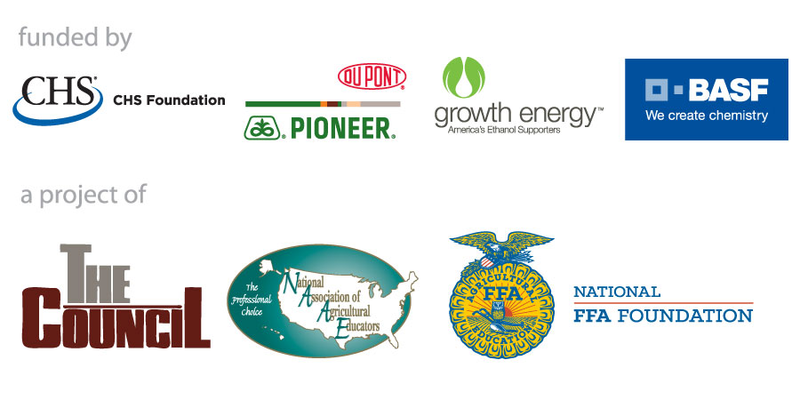 Growth Energy, a great new Ag Ed partner has created an interactive map that makes it easy for you to find a renewable fuels plant in your area or on your way to convention. Follow this link to plan your tour today! What is your desk organizational style? 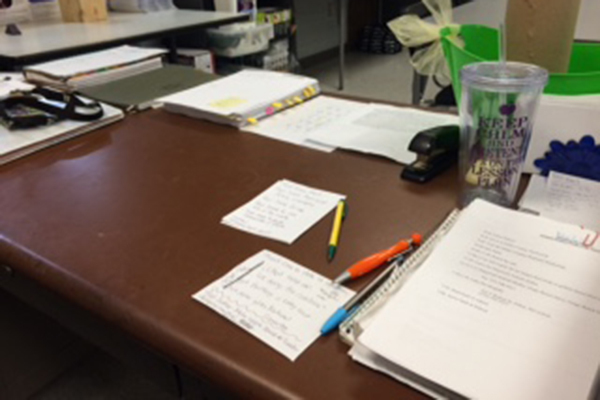 For Bethany Prenger, agriculture teacher at Cole R-V High School in Missouri, notes and Post-It tabs help her to stay on top of things, while managing her agriculture program. Want Your Picture in NTN??? Are you interested in having a picture of your desk (or your colleague's desk) in New Teacher News? Send a high-quality picture to Andrea Fristoe & look for your picture in an upcoming edition! "I have a set of five drawers -- one for each class that helps organize assignments students turn in. This is especially helpful when I'm gone to National FFA Convention, or other times when I'm gone for more than one day at a time." What you get for the money? Attend workshops in the Interactive Teacher Classrooms that will allow you to enhance your teaching and make your classroom come to life all while earning professional development credit. Discover new ideas and activities, receive free instructional materials, and learn strategies to increase student engagement. Topics range from agriscience to leadership. While their classmates toil away at such courses as pre-calculus and history, a small group of Newton County high schoolers is spending the afternoons flying agricultural drones over cornfields.Read more. The National Teach Ag Campaign is a project of the National Council for Agricultural Education, led by the National Association of Agricultural Educators. For more information, visit the Teach Ag website.Funding for the National Teach Ag Campaign is provided by the CHS Foundation, DuPont Pioneer, and Growth Energy as a special project of the National FFA Foundation.